Please select options for Auburn Gear HP Series Limit Slip Differential - 28 Spline 7.5 in. (79-85 V8; 86-10 V6) at the top of this page. 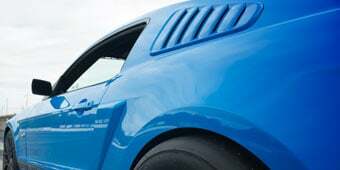 JUSTIN: Hey I'm Justin with AmericanMuscle.com and this is our PowerPack Bolt-On Build-Up for all 99-04 V6 Mustangs. Now, before we get started, let's address the elephant in the room. From the factory, these 3.8 L V6s weren't the baddest Mustangs on the block, just in terms of all-out performance. But thanks to the large aftermarket support, and bolt-ons that can really squeeze every ounce of power out of any car, well these V6s can be turned into quite the competent little street-car. So that's exactly what we're going to show you here today. But before we get into it, we're going to grab a quick baseline number first just to see what we're starting with. Then we're going to hand the car over to the crew, to get everything installed. JUSTIN: Hey Mike, what's up man? MIKE: Oh, nothing much, man, what's going on? JUSTIN: It looks like we tackled some of the basics under here, I see that SR Performance Cold Air Intake, now obviously that's going to get us a little power of course, but maybe explain to us, maybe what else we can expect from using stuff like that? MIKE: Well first is price, it's a very budget-friendly piece. It's easy to install, looks great, it's no-tune required, and we should see some increase in miles-per-gallon too. JUSTIN: All right, cool, man. Now I notice a little yellow under the hood here as well, that's usually the calling card of Accel products. Tell us a bit more about this Super Coil Pack here. MIKE: You're going to get some horsepower & torque as well on this, but the main thing it's going to smooth out our idle, give us better drive-ability and give us a cleaner, hotter spark. JUSTIN: That's probably pretty important with an older car, such as this. MIKE: Absolutely. JUSTIN: Right on, man. Now I also know we've got the Pipes True Dual system on the car, that's been on for a little while, we're not going to lie, being car guys, this car didn't have much of a chance coming in here with a single exhaust. MIKE: Oh yeah. JUSTIN: So, talk about the benefits of a True Dual system on our V6. MIKE: It's going to increase horsepower and torque, more importantly for most of the guys, it's going to increase the sound, it's an aggressive sound, it's high-quality and it's also easy to install. JUSTIN: Now what's a Mustang without dual-exhaust coming out the back too, right? MIKE: Exactly. JUSTIN: Now, finally, I guess we can be safe to assume you're going to toss one of your custom Bama tunes into the mix? MIKE: Oh yeah. JUSTIN: Awesome man, now what's that going to do for us? MIKE: going to wrap all of our mods together, and make it a complete package. The fuel, the spark, the cooling fans, and being that it's an automatic, we're going to adjust the shift firmness, and the shift links. JUSTIN: Alright man, I guess there's only one more thing to do. You ready to see how much power this little 3.8's going to make? MIKE: Let's do it. JUSTIN: Alright. JUSTIN: So our baseline run with our 2006 V6 gave us 149 horsepower & 185 ft/lbs of torque. With our power pack installed we put down 163 horsepower & 192 ft/lbs of torque, giving us a peak horsepower gain of 14 over our baseline numbers, and gains of 15 horsepower and 15 ft/lbs of torque throughout the curve. Now it's obvious Mike was able to work his magic with the bolt-ons and the tune, but we wanted to give our V6 a little more giddy-up. So we installed a set of Ford Racing 373 gears along with Auburn's limited slip differential, now of course the gears are going to give us that increased acceleration we're looking for, but the diff's going to be equally as important. The limited-slip differential's going to distribute power to both wheels evenly, help us get off the line, and pull us out of the turns but, most importantly, no more embarrassing one-wheel peels. Alright, with everything wrapped up, let's get our V6 off the dyno and on to the streets so we can see how it does with all that new power, along with those acceleration goodies. JUSTIN: So we're back out in our 2000 V6, after the PowerPack's been installed, and we'll just get one thing out of the way, right away. 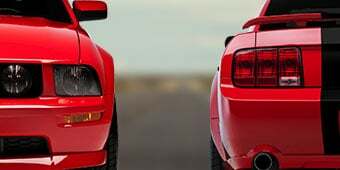 Is our V6 faster than the GT500? Absolutely not, but that's not a big surprise. What I will tell you though, is that our V6 is significantly quicker all around. The acceleration pulls from, pretty much idle, all the way to redline now, as opposed to before, when it kind of fell on its face around 4000 rpms, 'cause it was just kind of being choked out by the single exhaust, and the puny intake. Now the intake is letting it breathe, the dual exhaust is really flowing well, sounds great by the way, for a V6, and the Bama tune's just really pulling it all together. Our acceleration, by the way, is killer. That Auburn LSD along with our 373s, have really made for one peppy daily driver. In the end, V6, much more improved driving experience. 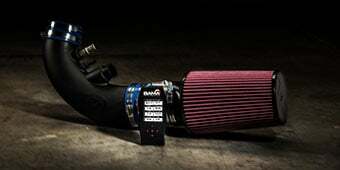 That's what we were going for with this Power Pack, and we really did a good job with our little 3.8 L here. So that wraps up our Power Pack for our V6 Mustang. Be sure to check out some of our other 99-04 V6 Bolt-On Build-ups, where we dress up our V6 a little bit, and work on our handling. Limited Slip Differential. Stop doing those ridiculous one wheel burn outs and upgrade to a Auburn High Performance Series 7.5in 28 Spline Limited Slip Differential from AmericanMuscle. A Limited Slip Differential (LSD) sometimes referred to as a "Posi" will allow both rear wheels to plant the power to the pavement giving you better traction and more impressive burnouts. Application. This Auburn High Performance Series Limit Slip Differential will fit solid axle equipped V8 Mustangs from 1979 to 1985 as well as 1986 to 2010 V6 Mustangs. 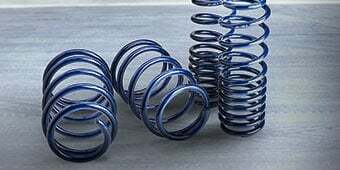 Requires 28 spline axles.Application Note: 1979-1985 V8 and 1986-2010 V6 Mustangs came factory equipped with 28 spline axles. Technical Note: You will need to reuse your factory 7.5” gear set, or upgrade to a set of our 7.5" rear gears for this Limited Slip Differential. No aftermarket gears are included. For normal driving conditions we recommend you use 75W 90 rear gear oil. This will give you the same oil weight as factory. For colder temps or race use try 75w 140. 28 spline axles I'm seeing that it requires the 28 spline axles. Does my 06 v6 have this already ? Correct, your V6 Mustang came factory equipped with 28 Spline axles.This LSD will have you doing two wheel burnouts in no time! Great upgrade!! Yes, you're fine. This will fit 86-10 V6 Mustangs unless you have modified your axle or ring gear to something else. If you bought a used Mustang, just make sure that didn't happen. This is compatible with stock. To my knowledge, all mustangs with 7.5 inch rears had 28 spline axles. So, yes it should already have 28 spline axles and this would fit nicely. 2002 Mustang V6 Does the 2002 Mustang V6 has 28 splines? If not, what parts must I install to be able to install LSD? Yes, all 86-10 V6 Mustangs came equipped with 28 spline axles from the factory. This would be a great addition to your Mustang, putting the power where it needs to be - the pavement! You won't be disappointed with this investment! Yes, this will fit a 2002 v6 and is a great modification to the v6. 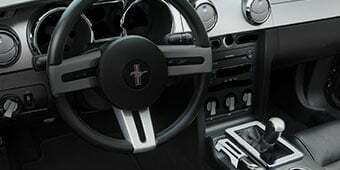 You will need nothing special to install this in your car just installation stuff like shims, seals, etc. Yes, this is compatible with your Mustang. 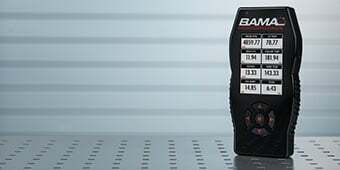 will this fit in my stock 2000 v6 3.8 mustang i have a 2000 stock v6 3.8 mustang i want to do this mod but i want to know wat would i need to complete this installation also with the 4.10 gears wat would i need to complete the installation also if its a good mod for my stang. Yes, yes & yes. It will fit and will take the 4:10 gears. Really suggest a professional installer do it for you. 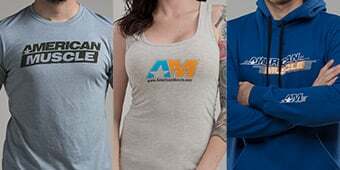 Check AuburnGear website to make sure you have all parts/gear oils and even download instructions. You have same car as me, so let us know how it works out for you. Hope this helps. I have just recently done the Auburn LSD and 4.10 gears in my 2001 v6 and by far best mod iv made to it! First off I will tell you I did it all myself and will want to have a buddy that has worked on a rear end before and knows what he is doing its a little tricky. You will need to by the install kit that A.M. Sales and you will want to get extra lock tight and gear oil(2 quarts but it'll only use a quart and a half after the additive for friction the auburn will send you) 75-90w. I strongly recommend doing this up grade to your v6 tho it'll make a huge difference in your car! 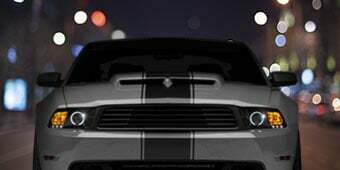 This would work good for your mustang especially if you plan on more mods. Also look into a rear end rebuild kit for the 4.10s. You wont be disappointed. I have an 08 V6 with an x-charger supercharger pushing about 360 hp. I've had no problems with this differential. 400 hp is about the max for a V6 so it should be plenty strong for your purposes. 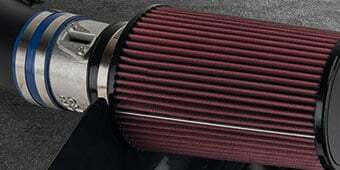 The Auburn limit slip should handle a supercharger installation on your 07 V6. Does this one break when your car is making over 300hp? We would not recommend using this Limit Slip Differential - 28 Spline 7.5 in.with you build making over 300 HP. We would instead suggest doing a complete rear end swap to a 8.8 out out of a GT and then swap to a 31 spline carrier to handle the added HP. This will not allow you to have drifting capabilities. A new driveshaft is not required. We would not be able to confirm fitment on that part as we do not sell this for the 2.3L models however we do not see an issue with it working. The BAMA tuner should not affect this Auburn Gear HP Series Limit Slip Differential. This differential should not require the c-clip eliminator. Hi, I do not recommend using this Auburn Gear HP Series Limit Slip Differential - 28 Spline 7.5 in.with you build i suggest doing a complete rear end swap to a 8.8 out out of a GT and then swap to a 31 spline carrier. The Auburn Gear HP Series Limit Slip Differential (28 spline 7.5in) works very well with almost all SAE certified full-synthetic lubricants. With a component who's fluid is changed with longer intervals, we recommend AMSOIL or Motul; these lubricants are proven to work in a wide variety of applications. Depending which gear oil is used, it may already have a friction modifier. In theory it should. The limited slip differential will help your launch and reduce wheel spin as power will be distributed to both wheels (instead of just one) on hard take-offs. Improved acceleration will depend on which gear ratio you have (ex. 3.31, 3.73, 4.10). Not really hard to install with great results. An easy choice. Can't go wrong. You can really feel the difference in how the car drives. Launches are more aggressive, and its more stable and controllable in corners or drifting. Not to mention the two wheel burnouts are nice too. This is how it should have been from the factory. The limited slip diff turned the car into a whole different animal this thing really grips now!!! Next step better rear control arms!! Eliminated torque shudder entirely in corners. Couldn't be happier. Ever good product i notice the big difference right away i recommend this product to anybody thats trying to make there sixer wake up..
My 2002 mustang had traction problems until this bad boy. Came with good instructions and took about a day and a half to instal. Very good product. Instructions could be better tho. pricey? yes! worth it? yes! works great with ford racing 3.73 gears and bbk upper and lower gripp control arms.now running 14.90's (1/4 mile) in my modified but still naturally aspirated 3.8 v6. I've looked everywhere for spider gears for my stock posi 7.5. Needless to say, I was unable to find what I needed due to the popular 8.8. I'm assuming this is the reason why this unit was so expensive but it was either buy the unit or run my stock unit with burnt up spider gears. The only issue I ran into was not knowing that I would need C Clip eliminators. Other than that, this unit works as advertised. I just wish it didn't cost 2x as much as a unit for a 8.8. Got tired of havin' a one wheel wonder.. Did a ton of bolt ons to my V6 and decided to break the other tire loose for some extra power and nice burnouts. The car definitely handles differently and has an extra kick to it. It's a nice feeling to do a burnout and start sliding sideways and leaving two skidmarks instead of one. Real good product nice to have. Lot's of acceleration. You know, at first, I was mad that ford stopped making their 7.5 diff. It was like 200 bucks but you truly get what you pay for, this diff. is great!! Launches are great and turning is a dream. Thanks American muscle! 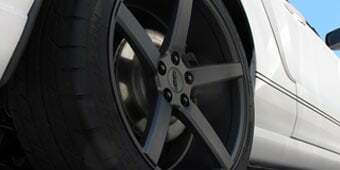 It is great to be able to accelerate and not have to worry about excessive wheelspin. Makes the car much more fun to drive, safer. Is a good upgrade if money is no issue. I know for the money that was spent for the Limited Slip + Install, that money would have been much better spent on a different mod. The performance gains and difference in drivability is minimal and again not worth the money. this product is amazing went in easy and works great. amazing quality. no more one tire fire burn outs and great launches. This is one of the best upgrades I've done to my stang. I can feel the power being planted to the pavement. A little pricey but worth every penny. Great product. Really helped the overall performance of my 99 Stang, no more one wheel burnouts! Having prior knowledge of a rear end, puttin this in with the 3.73 gears, my car definitely picks up much better! And with the two tire marks instead of one, this little sixer is definitely more fun to drive around! It is a must!